So I have 3 plants but only the cascade decided to give any good stuff this time. I’m not sure if that’s due to this being the first growth off the the rhizome, or what. 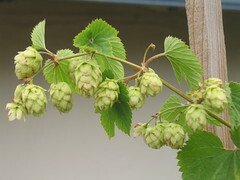 The Willamette grew to the same size as the cascade, but only produced 8 cones… weird. 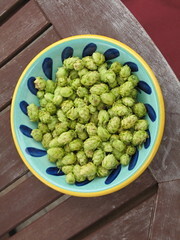 Anyway, I did manage to get 1.5 ounces of fresh cascade for a brew next week or so. Can’t complain about that! 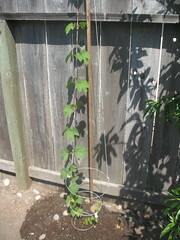 Here’s a few pics of the hops and how they’re doing. 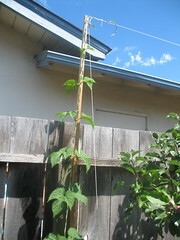 The Cascade is looking good, but the two Willamettes are really going nuts. You are currently browsing the archives for the Beer Components category.